James has an undergraduate degree in economics from Concordia University, Montreal and has graduated with a Masters in Environmental Studies (MES) at York University. His interest lies in Ecological Economics and Indigenous knowledge. As a scholar in the E4A program, he wishes to push the barriers of Ecological Economics as a dynamic, inclusive and interdisciplinary field of study. Kesha is a PhD candidate at the Faculty of Environmental Studies at York University. She has a Master’s Degree in Environmental Studies, a BA in Geography and a Diploma in Project Management. She has a worked in both the public and private sector in the areas of education (teaching), low income housing development, community development, public consultation, health research and environmental management and planning. While her professional experiences may seem non-linear, her greatest desire is to combine her knowledge and experience in these areas, to deliver initiatives that seek to improve the lives – environmentally, economically, socially and culturally – of the poor and marginalized in the global south. Jen came to academia in her mid-30s after years of sustainability activism, eco-construction and dabbling in local politics in British Columbia. She’s been exploring how research and scholarship can help support social transformation in response to the many converging crises we face, from climate change to social inequality. Jen completed a BA in Environment (minor Anthropology) from McGill University in 2014 and is now a climate justice activist and researcher working in solidarity with Indigenous and other communities most impacted by climate change and extractive industry. She is completing a PhD in Renewable Resources in the Department of Natural Resource Sciences at McGill. Her work focuses on activist-research working closely with communities and organizations in the frontlines of climate justice and Indigenous resistance to oil and gas extraction. These collaborations seek to identify and mobilize strategies and theories that can help strengthen efforts to transform our systems to ones that are ecologically sane and socially just. Meanwhile, she still spends summers on a little island building in BC. growing food, building houses, chopping wood and living in community. Christopher Orr is a PhD candidate in the Economics for the Anthropocene (E4A) project at McGill University in Montreal, Canada. His doctoral research focuses on understanding deep transformations in society-nature relationships and explores their dynamics in the context of Canadian climate change politics. He holds a B.Sc. in Physics and Environmental Science from the University of Toronto and an M.S. from McGill University. His Master’s research focused on the legitimacy of collaborative watershed governance in Quebec. He has experience developing and facilitating collaborative projects. He developed renewable energy projects in Nicaragua, and travelled to India on behalf of a research team at the University of California, Berkeley to design and build a prototype to remove arsenic from groundwater. He also took part in the Great Lakes Futures Initiative. Alvaro is pursuing a PhD in Environmental Studies at York University. 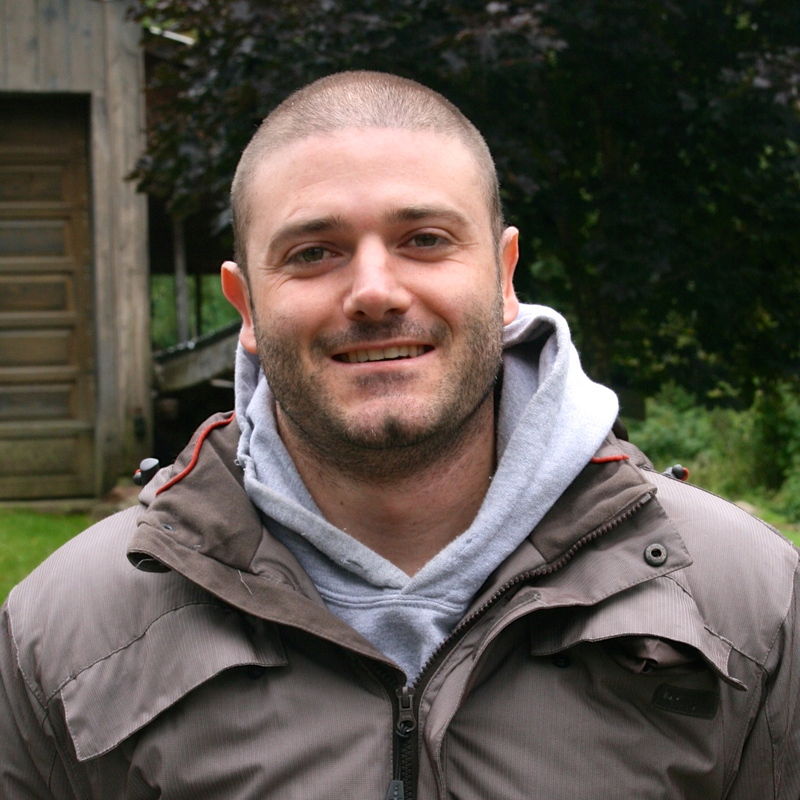 His research is focused on system dynamics modeling approaches to better inform wildlife management issues in Ontario. After a successful internship with the Ministry of Natural Resources of Ontario, Alvaro transitioned to the role of Senior Economist within that ministry. In this role, he utilized his newfound knowledge and expertise gained as a PhD student at York University and as a scholar in the E4A research initiative to evaluate and inform policy development in issues such as climate change and wildlife management. He now transitioned to the role of Senior Economist with the Ministry of Northern Development and Mines, working mostly on resource revenue sharing of mining tax and royalties with First Nations. He has a Master’s Degree in Environmental Studies from University of Northern British Columbia (UNBC), and a Bachelor’s degree in Commerce from Universidad de San Andres (Buenos Aires, Argentina). In the past he worked as Sustainability Manager for UNBC and as project manager for different non-profit organizations working with underprivileged people in Buenos Aires, his home city. Alvaro’s ultimate goal is to become a bridge between academic ecological economics theory and real world practice.